Early risk detection of breast cancer! The nations are developing and growing, so are the number of cases reported for breast cancer. Breast cancer incidences have reached alarming numbers over the years and continue to be on the rise, making it the most common cancer in women in the Indian population. As per the reports by World Health Organization (WHO), over 500,000 women succumbed to breast cancer worldwide in 2011. 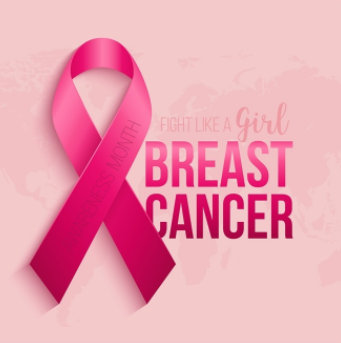 Generally breast cancer is considered to be a disease of the developed world but still 50% of the breast cancer cases have been reported in the less developed countries! Breast cancer is a non-existent entity for a majority of population till a near and dear one suffers from it. Lack of knowledge and awareness makes it the leading cause for cancer related deaths. People tend to ignore the importance of awareness and knowledge about these common cancers and tend to wait till the last minute only to get a positive result on the tests. Common symptoms of breast cancer, i.e. lumps, itchiness or redness of the breasts are generally ignored leading to the growth of cancer to an advanced stage! Unhealthy lifestyle and increasing age are said to be some of the major causes of breast cancer. As per the report from Indian Council of Medical Research (ICMR), breast cancer accounts for 1.5 lakh (over 10 percent of all cancers) new cases during 2016. Although any woman can develop breast cancer, the point worth considering here is that breast cancer can be caused due to hereditary factors. The risk increases considerably if women inherit a harmful mutation in the BRCA 1 gene or in the BRCA 2 gene. BRCA 1 gene or BRCA2 gene helps to repair damaged DNA, a change or a mutation in these genes may lead to breast or ovarian cancer. And this risk increases significantly if she inherits a damaging mutation in these genes. Women whose mother or sister had breast cancer carry a higher risk of developing this disease. When a mutation is detected in a family member, there is an increased risk that other members of the family will be carriers of the same mutation. People who inherit harmful mutations can transmit these mutations to their sons and daughters with a 50% probability. If a person has inherited a harmful mutation, it means that each of their brothers or sisters has a 50% chance of inheriting that mutation. Oncodona by Igenomix is the most advanced genetic test for early detection of breast and ovarian cancer among women who want to know their personal risk of developing these. The test analyzes the genetic information present in the panel of 21 genes including BRCA1 and BRCA2 that can cause the breast and ovarian cancer In the women diagnosed with breast cancer and a negative result of BRCA1 and BRCA2 gene screening, Oncodona test can find mutation in up to 4% of those women. Known to be the cause of deaths for many women, both breast and ovarian cancer if detected at an early stage can improve the chances of a successful treatment, thus improving the survival rates.